Run your envelope accounting system on prepaid cards. I love this idea, and I think it’s a perfect way to use prepaid cards. Just be sure to keep the number of categories small. I like Joanie’s choice of groceries, clothing, and entertainment. Put your kids on a budget and have them manage the money allotted to that budget. This is an allowance done right! It isn’t an entitlement, it’s a budget and it teaches a critical life skill early. Enforce a 50-30-20 plan for necessities, lifestyle, and savings with automatic transfers. I like keeping the budget buckets super simple and the enforcement automatic. Get your kids on a payroll early and then help them contribute to a Roth IRA. This matches up with my all-time favorite family finance tip: the Family 401(k). If you have a teen who made some W-2 income from a summer job last year, look into this. Make a list of everything you DIDN’T buy. I love the reverse psychology of this one. Dedicate cash-back rewards to investing. This is like a mini version of Jay Leno’s practice of having two jobs and always saving the proceeds from one — but without having to hold down two jobs! Take the 52-week savings challenge. Starting with just $1 on week 1 and $52 by week 52, you’ll have $1,378 at the end (ignoring any investment gain or loss). This is a nice, simple challenge that really adds up. Take the 30 day no-discretionary-spending challenge. This is a clever extension of the “sleep on it before you make a spending decision” technique that will teach the whole family to delay gratification. Not only will you save a ton of money, but your family will be more thankful when you do spend money afterwards. Bonus. 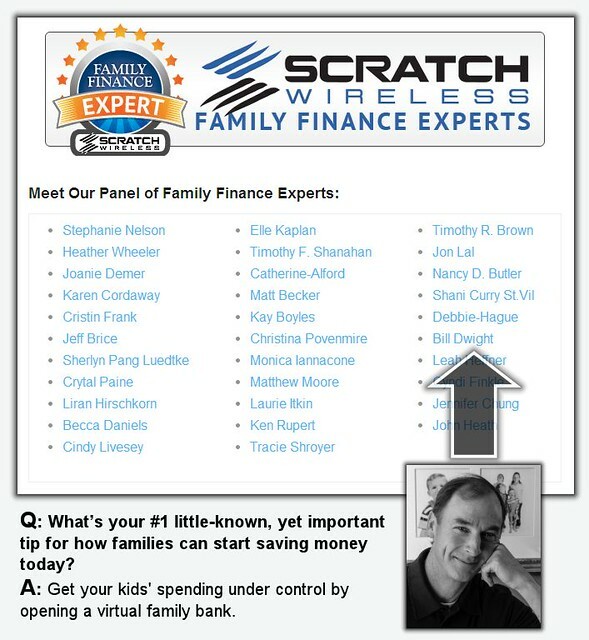 What’s your favorite, little-known family finance tip?